Incorporated in 1870, Laurel, MD was founded as a mill town and grew under industrialization. Today, Laurel is a popular commuter town for Washington, DC and Baltimore, MD workers. Largely residential, Laurel maintains its heritage through a popular historic district, Main Street and a number of properties on the National Register of Historic Places. As the region’s source of premier home improvement products, Thompson Creek Window Company® knows Laurel – from its historic homes to new construction condominiums and single-family homes. That’s why so many Laurel homeowners call on us when it comes time to update their windows and doors with beautiful, energy efficient replacement windows. We design and manufacture every window in our local Maryland factory, eliminating the middlemen of the typical supply chain. The result: Replacement windows and doors that are sure to improve the value of your home and increase its energy efficiency. Windows are an often overlooked home feature. It can be easy to forget that our windows do more than let in light – they protect our home from the elements, keep cool air out in the winter and reduce solar heat gain the summer. Thompson Creek’s® replacement windows are safer and stronger than traditional replacement windows, so they can withstand diverse Mid-Atlantic weather conditions and through the decades. Are custom-made. We measure, build and install every window to your home’s exact specifications. Exceed 2018 ENERGY STAR® criteria. Lower your utility bills year-round with the most energy-efficient replacement windows on the residential market. Are a breeze to clean and operate. We use tilt-in sashes for easy cleaning and operation – no elbow grease required. Yield a strong return on investment. Window replacement has a return of up to 82.8% on the cost when you sell your home. What’s more, only our factory experts handle window installation, ensuring a stress-free replacement process. Like our windows, our replacement doors can significantly improve the beauty and energy efficiency of your home. From entry doors, to storm doors to sliding glass patio doors, we’re proud to design and install them for Laurel homeowners. Exceed 2018 ENERGY STAR® criteria. Keep cool air out in the winter and inside in the summer – helping you reduce your utility bills all year around. Include safety and security features. We use 20-gauge steel to build entry door frames and deadbolts. Come in an array of colors, patterns and accents. Choose designer colors, patterns and accents from our standard product line – or we can create a custom design just for you. Bring a hefty return on investment. Think you might sell your home some day? 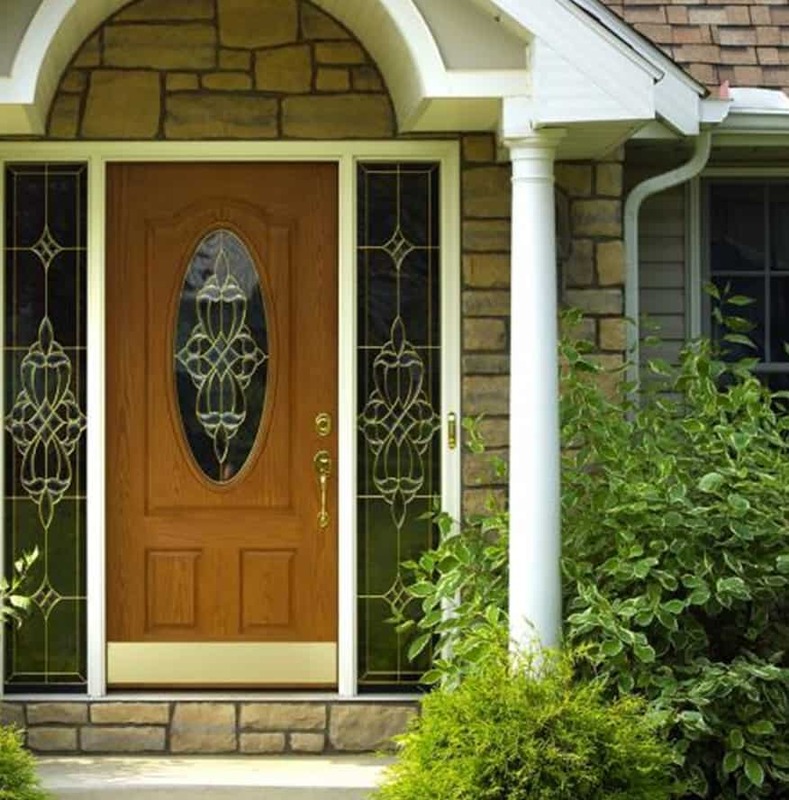 Steel door replacement yields an impressive 101.3% return on the cost when you sell your house. At Thompson Creek® our team handles everything from measurement, to construction to installation – ensuring a stress-free door replacement experience. At Thompson Creek we understand the seriousness of proper ventilation for your home’s roof. Our six layers of protection drives precipitation away from your home while our Cobra ventilation system ousts excess warmth and damp air out of your attic. In the summer poor ventilation allows the heated air in the attic to move downward into your living space. In the winter moisture created from your shower and bathroom travels upward amassing in your homes attic. Encased muggy air in you attic can create mold and rot that can lead to structural decay of your home. While mold build up can be unhealthy for the life of your family. Contact us today for a free inspection and quote on your Laurel roofing project. If you’re a Laurel homeowner, consider Thompson Creek® for your next home improvement project. Contact us today for a free no-obligation quote and learn how you can quickly create a more beautiful, energy efficient home today.